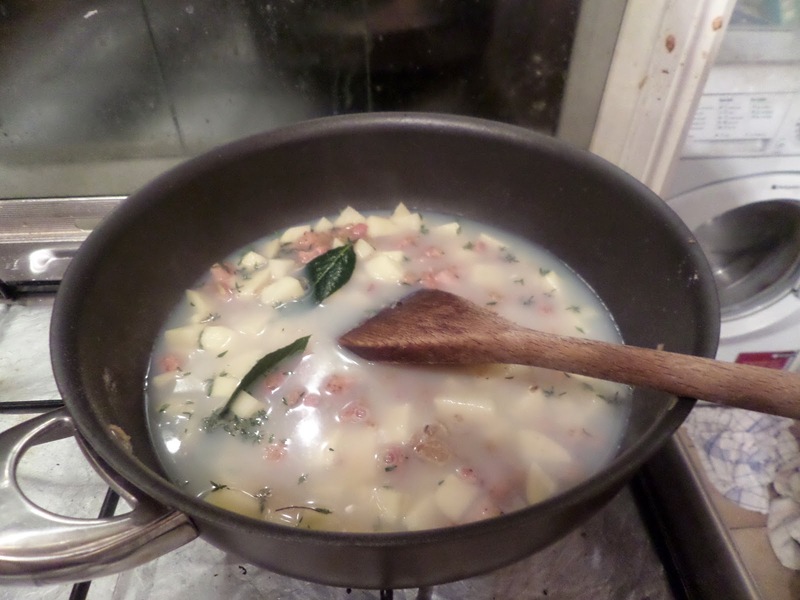 So it’s time to finally do clam chowder properly. With actual clams, and individual loaves, rather than the fish and conjoined loaves from last time. 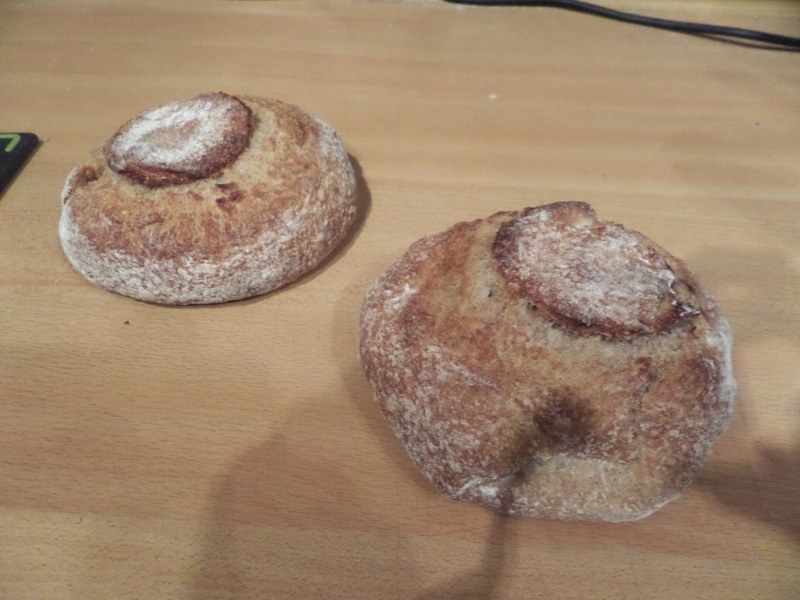 Due to a very busy day in the oven the loaves were a little over-proofed… but they seem to have survived. 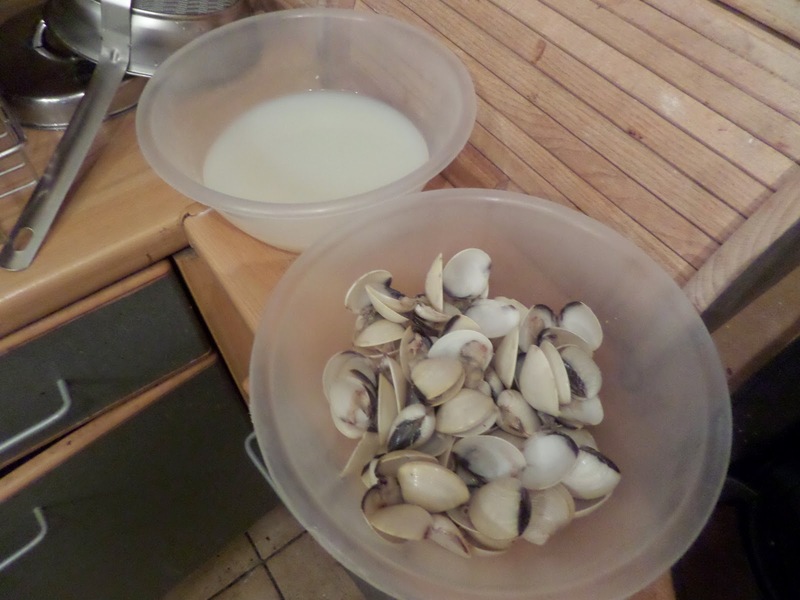 So we boiled up the clams, giving up a clam stock for the base of the chowder. 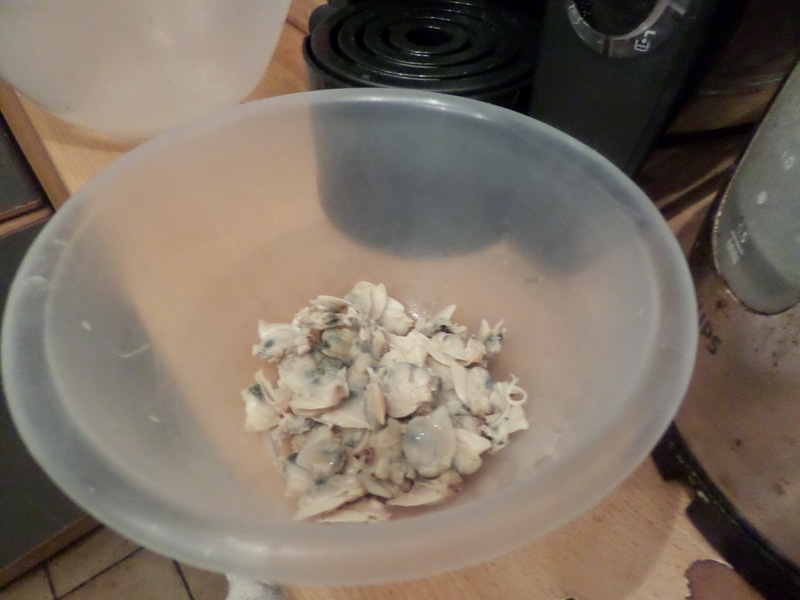 You don’t get much clam meat from all those clams! 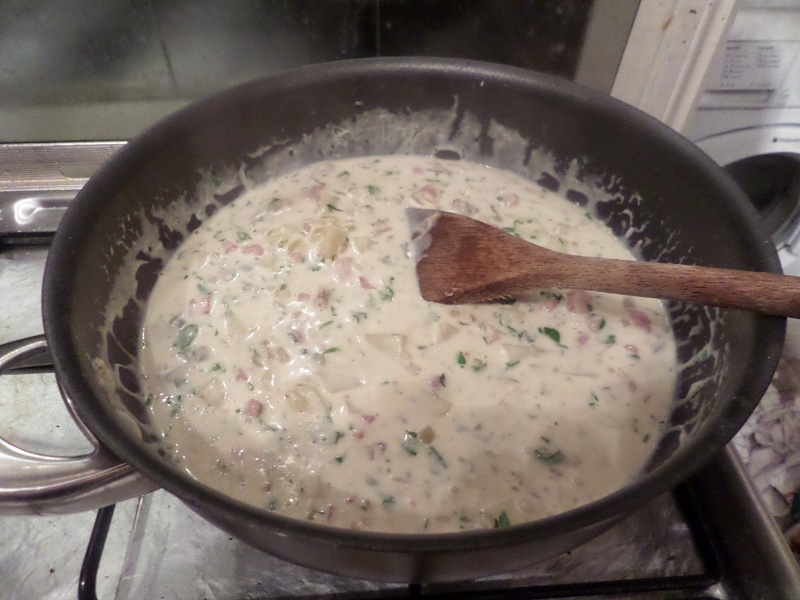 Add cream, clams and parsley. Hollow out the buns, warm in the oven, and it’s time to serve. Anyway: it was delicious! 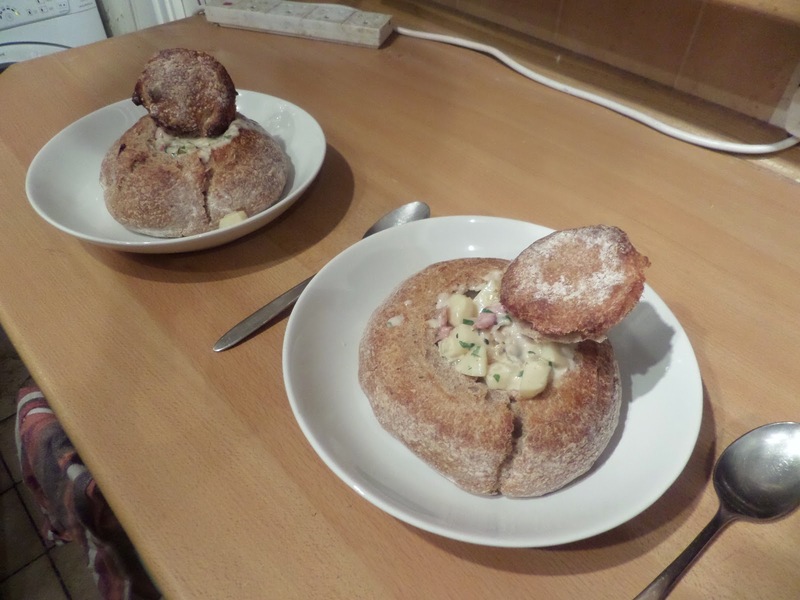 Really rich, creamy chowder in a delicious sourdough roll. That’s all new to me. I’ve never had clams or chowder. Very American.